2008 - Dual-focus BFA in Fine Arts - Painting & Fibers, Indiana University of PA, Indiana, PA.
2008 - BA in Biological Anthropology; Biology minor, Indiana University of PA, Indiana, PA.
Off the Hook - Logo painting, custom artwork for the Oyster Bar, large-scale custom painting for the dining room, and lettering menu boards. Warrendale, PA.
Bill's Bar and Burger - Commissioned mural artist for restaurant. Westin Hotel, Pittsburgh, PA.
Max & Erma's Restaurant - Commissioned chalk board artist for restaurant. Cranberry Township, PA. Precision Therapeutics - Artist/Actor/Model for a commercial promoting their cutting-edge cancer treatment technologies, with Legion Media. Pittsburgh, PA.
Jak & Peppar and Mustard Pie Clothing Co. - Set designer and photography assistant for the Spring 2014 line. Charleston, SC. Arrangements With Style - Worked with this local interior design firm to create a unique space at the Pittsburgh Home & Garden Show. Pittsburgh, PA.
University of Pittsburgh - Taught a Mixed Media Workshop in conjunction with a solo show at the Conney M. Kimbo Gallery. Pittsburgh, PA.
LabRatz Science Club - Lead instructor and lesson developer for this local education business, offering hands-on science activities for children in the Pittsburgh area since 2005. 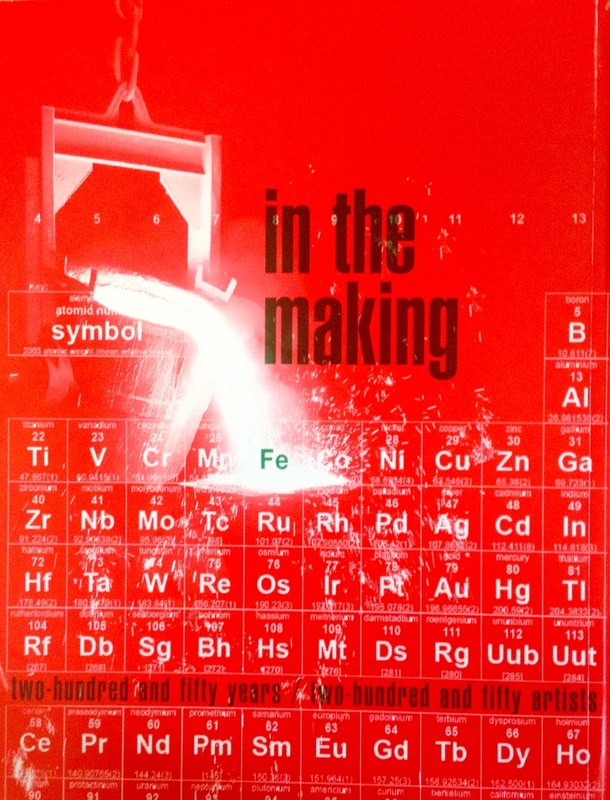 I wrote interdisciplinary lessons merging science with the arts, trained instructors, created lab manuals, and led large-group assemblies and summer camps. Doodlebugz Art School - Founder of this arts education business that provides after school art programs and summer camps to schools in the Pittsburgh area. The Backstage Bar - Seeing Sounds solo show, Pittsburgh, PA. Spirit - Solo show and album release party for Donora, Lawrenceville, PA.
Night Market at Market Square - Part of the Gallery Crawl in the Cultural District, Pittsburgh, PA.
Three Rivers Arts Festival Artists Market, Pittsburgh, PA. The Wexford Pub Art Show, The first show in this new pub/art space featuring a variety of local artists. Curated by Aimee Manion. Wexford, PA.
Evolution 2016 - Group show of artwork inspired by Evolutionary Biology. Art.Science.Gallery, Austin, TX. Pittsburgh's Bicentennial Gallery Crawl - Pittsburgh Cultural Trust's Night Market, Smithfield St, Pittsburgh, PA.
Verse Envisioned - Group show of Pittsburgh poets and artists, sponsored by the Pittsburgh Post Gazette. Panza Gallery, Millvale, PA.
42nd Annual Neptune Festival - Festival and artist market in Virginia Beach, VA.
WaterFire - Festival and artist market in Sharon, PA.
Night Market at the Gallery Crawl - Presented by the Pittsburgh Cultural Trust. Pittsburgh, PA. The Art Place Studio - Group show of local artists and crafters. Wexford, PA.
Sweetwater Center for the Arts - "Wild Things" Group show curated by Cynthia Shaffer. Sewickley, PA.
C-SPACE: Collective "Round 5: The Distillery Art Program" - Group show of Aimee Manion, Ryan Woodring, Kara Skyling and Megan Olson. Pittsburgh Home & Garden Show - Worked with local design firm, Arrangements With Style, to create a unique space at this home & garden convention. Designer Melodie Schooley created a living space designed around my original paintings. Abatta, Sonni. "Newcomers Shine at Pittsburgh Arts Festival" KDKA News live broadcast interview, 4min 53 sec. June 8, 2009. Coticchia, Brendan. "Three Rivers Arts Festival: Ten Days of Art & Music" Pitt News, University of Pittsburgh. June 1, 2010. Dailey, Jessica. "Artfully Aimee" The Original Magazine volume 4, Feb 2009: p.40-43. Reed & Witting Company, Pittsburgh, PA.
Franz, Jason. 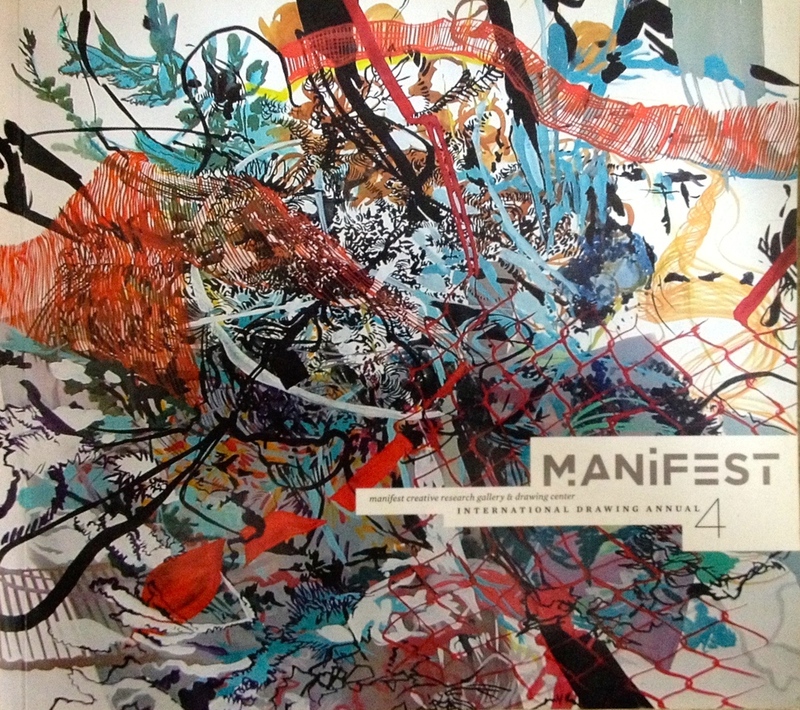 "INDA: International Drawing Annual 2008" Manifest Press, Cincinatti, OH. Guidotti, Ross. "Three Rivers Arts Festival to be Bigger Than Ever" KDKA News live broadcast interview, 2min 29sec. April 29, 2010. Guidry, Nate. "Three Rivers Arts Festival" Pittsburgh Post Gazette live video interview, 2min 15sec. April 29, 2010. Klipa, Rachel, and Greg Victor. "Verse Envisioned: Poems from the Pittsburgh Post Gazette & the Works of Art They Have Inspired" Word Association Publishers, 2016. Locklin, Kristy. "Artist sees the big - and small - picture in her work". Art review and interview published in the Pine Creek Journal, Nov 27, 2008. Moen, Jenna. "SWAN Day in the 'Burgh" Review published on NakYouOut.com by Nakturnal. March 10, 2015. The Open Thread vol.2, Printed by Lulu in DIN & Hoefler, Pittsburgh, PA, 2010. Thomas, Mary. "Festival an eclectic mix of artistry". Art review published in the Pittsburgh Post Gazette. June 13, 2009. "In the Making: 250 Years/ 250 Artists" Fe Gallery catalog published by Commercial Printing, Newcastle, PA. Curated by Jill Larson, 2008.